For the 1st year of construction, the 453 came with the standard Renault key on the left. 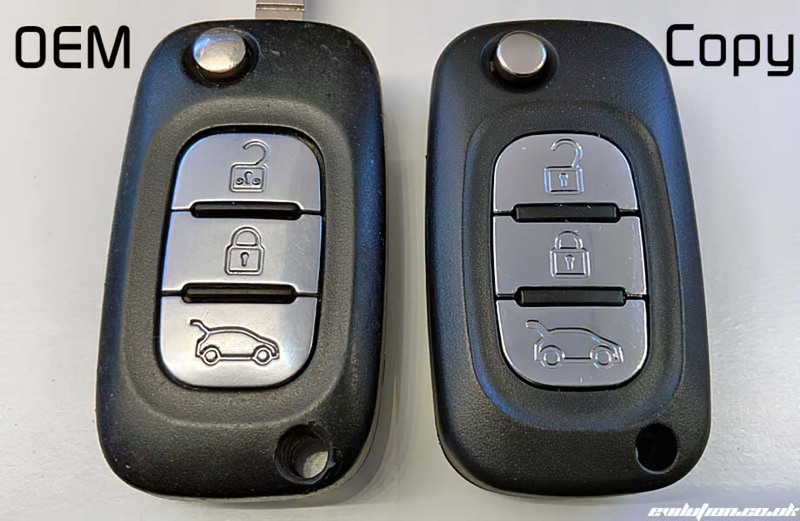 When they released the 453 in America, they started supplying the updated Renault flip key. The blade can be folded into to the body for storage and to make it all a bit smaller. Press the round button on the key and the blade flips out ready to use. 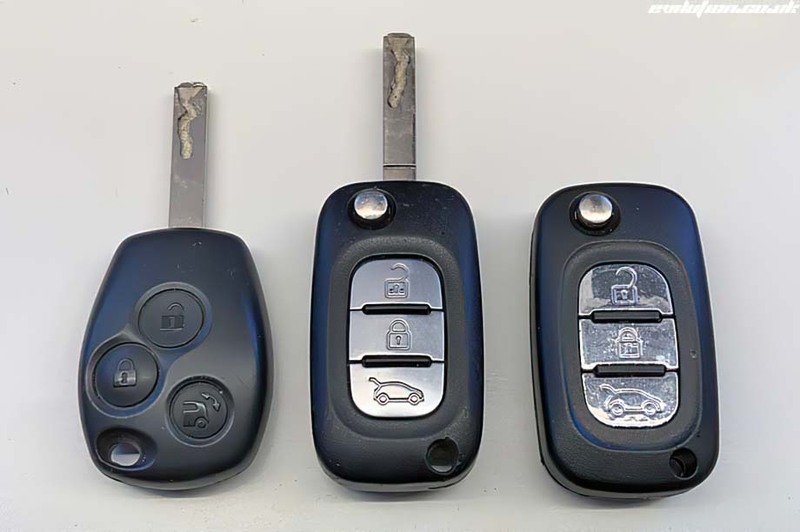 On the left is the standard flip key supplied by smart. On the right is the Chinese copy bought from eBay. The buttons on the copy aren't as cleanly labeled. The internals and circuitry is different between the OEM and the copy. Can I Upgrade To The Flip Key? Yes, you can. You'll have to go to smart or a smart specialist to have them coded. If you go to smart, you'll have to pay them for the keys as they won't code 2nd hand or copy keys. A smart specialist will code whatever key you bring them. Remember that 2nd hand keys may be broken when you buy them.